Fifty years after Biafra and the end of the civil war, Nigeria for the very first time organised a conference to commemorate Biafra, the war and its aftermath. 1. I am grateful to Shehu Musa Yar Adua Foundation, Ford Foundation and OSIWA – the co-sponsors of this event for your kind invitation. I commend your foresight in convening this conference, the first major conference discussing Biafra outside of Igboland. Nigeria. In hosting this conference the Yar’Adua Centre, which is best known for promoting national cohesion, honours the legacy of a great patriot: Shehu Musa Yar Adua. He died building bridges of understanding across our nation. I salute his family and associates for sustaining the legacy of Shehu through the works of this Foundation. 2. It is significant that you have chosen to harvest sober memories of Biafra. By so doing, you help us to wisely situate today’s talks of Biafra in the proper context: namely, as an opportunity for nation building; and not – as an invitation for invectives or recrimination. 3. 50 years ago, Nigeria faced disintegration by the declaration of the Republic of Biafra. Biafra was born out of the political crisis which engulfed Nigeria at that time. The crisis began with the struggle for leadership in the Western Region of Nigeria, the declaration of state of emergency in the West, the coup of January 1966, the counter coup of July 1966, the pogroms, the declaration of Biafra and the commencement of a police action that turned into a three years civil war. 4. I hope that our gathering today may contribute to the body of knowledge or body of lessons from the war. Lest we forget, there is wisdom in the words of George Santayana that: those who do not know their history are doomed to repeat it. That is why I thank you for the chance for us to collectively remember, reflect, hope and seek ways to build anew. 5.My most heartfelt reflection is that in the Nigeria-Biafra conflict, we can and should acknowledge the sacrifice – in blood, suffering and toil – by millions of citizens on both sides of that divide. They shared a common hope for their sacrifice: namely, that out of that war, we shall build a nation where no man is oppressed. The only difference was that for one side, Nigeria was that nation. For the other it was Biafra. 6. Let us spare a thought for every victim of that conflict and the crises before that: the leaders and the soldiers, ordinary men, women and children. Each one loved life; had hopes and dreamt dreams. They died prematurely and often, painfully. 7. For those of us that survived the war and others who came afterwards, we are both heirs to the sacrifices of fallen brethren. Let us commit ourselves today and always to their hopes for peace and justice. Anytime that we are violent, anytime that we are unjust in the exercise of our public trust, anytime we lower the ideals of this nation, we betray them; and we act as if they died in vain. As we honour their memory, today my worry is not only about the rising feeling of marginalization of Igbos or any other group but that our nation may emerge from this conflict a more united and prosperous country. 9. Nevertheless, on the issue of reconciliation, we must give due credit to the resilience of the people from the war affected areas and the generosity of millions of other Nigerians that opened their hearts and homes to their friends and neighbours that were victims of war. In many ways, it was by these incredible citizen to citizen relationships that Nigeria achieved one of the most remarkable post-conflict people to people reconciliation and reintegration in modern times. 10. Before the war national unity was the norm. A Biafran was a member of Northern Nigeria House of Chiefs. Biafrans lived freely and invested in all parts of Nigeria. In Lagos Dr Azikiwe was elected leader of Government Business. Mbonu Ojike was elected Deputy Speaker. In Enugu Alhaji Umoru Altine, a Fulani man was elected Mayor of Enugu. Mr Willougby a Yoruba man, was Accountant General. 11.On the economic front, the economy was buoyant. Import substitution industries grew rapidly and were more profitable. In the North, groundnut production and export fuelled economic growth. Textile industries flourished, agriculture boomed. Ahmadu Bello University thrived with outstanding international reputation. 12.In Lagos and the entire Western Region growth was phenomenal. Cocoa was a dependable foreign exchange earner. Cement, soft drinks, rubber, beer, soap and other import substitution industries grew phenomenally. Lagos, Ibadan and Ife housed universities of world standards. The first television station in black Africa was built. The first stadium in Nigeria was also built in the West. 13.In the Eastern Region palm produce grew the Eastern economy. Coal was mined and exported. Beer, cement, cashew nuts, tyres, aluminium, steel and soft drink factories grew rapidly. University of Nigeria was built and run by Americans. 14. Reflecting on 50 years after the Nigeria-Biafra conflict, it would seem to me that we have made very elaborate efforts: constitutional, political and administrative to ensure a united Nigeria. We must not shy away from giving our nation its due credit, after all, some other societies with challenges like ours did not fare as well as we did. 15. However, we should not rest on our oars. Unity is not an end in itself; and ultimately, the best way to sustain our unity is to apply it to achieve a higher objective; namely, nation building. 16. Our political system is jaundiced, unfair, exploitative and unsustainable. Since attainment of independence the civilians have not been able to agree on a political structure. Our present constitution and the previous 1979 constitution were impositions of the military – an unrepresentative and dictatorial corps whose decrees were seriously influenced by the lop-sidedness of their composition. 17. The economic and development data from Nigeria is unencouraging in many sectors. Our law and order system including the police, the court system and the penal system has been characterised by impunity, incompetence and indiscipline. 18. On the global Terrorism Index Nigeria ranks 3rd after Iraq and Afghanistan and ahead of Pakistan and Syria. The World Economic Forum ranks Nigeria 127 out of 138 on the Global Competitiveness Index. The UNESCO ranks Nigeria with Chad, Pakistan and Ethiopia as the worst educational system in the world. Nigeria, according to the report, has the highest number of children out of school and one of the world’s worst education systems due to a combination of corruption, conflict and lack of investment. In the Human Development Index of the United Nations Development Program, Nigeria ranks 152 out of 188 countries and is the lowest among OPEC countries. The data points to a bleak future as we march to post-oil world without a coherent plan to reduce conflict and build a new national consensus. 19. On the positive side, there is a global consensus that Nigeria is highly potentiated. With a population of about 182 million people, by current estimates; and with our vast mineral and material resources; a well-organized Nigeria should be a land of plenty that supports its people and a leader in the comity of nations. Sadly, this is not the case. 20. Almost every Nigerian is agreed that Nigeria is not working but there is no clear consensus on why; or on what to do about it. Some say that it is merely a problem of leadership and once that is fixed all other things will fall in place. Others say that it is a problem of corruption. Once you tackle that, everything will be fine. Others have said that our problem is one of law and order; some say it is more fundamental and has to do with control of resources, structure of the Federation and thus requires more equitable sharing of revenue and the devolution of powers. Others say it can be fixed with power rotation and a more level playing field. It has been said that it could be a bit of all of the above; and that Nigeria cannot be fixed without a fundamental change of values and attitudes. Whatever the case, it will not profit us to pretend that we do not face existential challenges. 21. These challenges are worrisome; especially to our younger ones who must face the fact that the next 50 years could be even more challenging and there is a good chance that we could be left behind if we fail to take action today. For instance, it is estimated in some quarters, that by 2050 – that is in 33 years’ time – Nigeria could be the 4th most populous country in the world. That means that Nigeria, which is just twice the size of Texas; would be more populous than all the United States of America. Meanwhile, as of today, we have a GDP that is barely 2% of that of the United States. 22. At the same time, in the years ahead, we could face very severe ecological challenges that will impact negatively on our economy. The desert is encroaching southwards at a speed of up to 6 km per annum. Thus within 33 years we could lose about 200 km of land to the desert – across the north. This can only exacerbate competition for arable land in the north and elsewhere – with dire political consequences. 23. In the South East, we could expect more ecologically-induced dislocation. For instance, the government of Anambra State estimates that about 40% of the State is threatened by erosion. In the South-South, by 2050 we could be dealing with the reality of a post-oil economy and yet have massive environmental degradation that is yet unattended to. There is also the possibility that much of the mangrove ecosystem could be lost to deforestation. 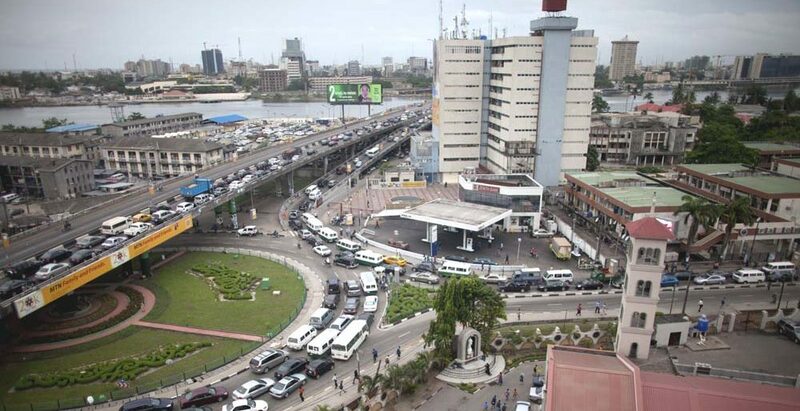 Lagos could have a population of up to 50 million people and face unbearable challenges of massive urbanization. 24. We must become more responsive to the world around us, or we and our children will be left behind. These are some of the fears and anxieties of our youths. We have for too long allowed the bitterness of the war and its lingering feelings to dictate our political relationships. The coalition that fought the war is still in control of Nigeria engaging in rhetoric that fuelled the war in managing renascent Nigeria. The young men and women who were not part of the war are frustrated by this impasse. 25. Those who are in the East fuel strong agitations for separation in the face of clear treatment as second class citizens. War is the primary instrument of military dictatorship while negotiation and agreement are the essential ingredients of civilian democracy and political diplomacy. Nations are not created and sustained by street warfare. The federal government of Nigeria must instruct its police and army to promulgate a ceasefire and disengage from further unproductive street warfare with IPOB and MASSOB. There are no problems which cannot be resolved by negotiation. 26. We do not want any more wars.We have shed enough blood without producing corresponding political results. 50 years after Biafra the time is now overripe for a fresh approach. We must immediately commence discussions and fruitful negotiations about our political future. In the era of assymetrical warfare, war is no more an easy option for states, therefore we must negotiate our way out of a sense of national despair to a new national consensus that unlocks our national possibilities. 27. Nigeria, blessed as the richest and the most popular nation in Africa has enormous potentials. Every part of Nigeria can survive as an independent country. The North with its mineral and agricultural potentials can build a strong nation. The West with its cocoa, oil, indomitable intellectual know how and commerce can build another Britain. The South South with its oil, notwithstanding its declining economic potency can transform its area before oil ceases to be a major foreign exchange earner. The East with industry, outstanding innovation and little oil may still emerge as the African wonder. But none of these little enclaves will rival the capacity of a united and reconciled Nigeria. We must all rise up and save this nation from a trajectory that will make a break up a more viable option. 28. The challenges ahead are beyond Biafra. Just like the challenge in North East Nigeria exploded in our face and has engaged our nation for almost 9 years; we could face challenges anywhere and anytime. In my view, if we fail to build a nation that caters fairly for all its citizens; and prepares us for the world of tomorrow – there will be new challenges in the future. 29. We must find creative ways to manage a complex multi-ethnic and multi-religious state. History teaches us that no society is static; the status quo cannot endure forever. We must find creative ways to promote political, economic and social justice within a nation and between the people that comprise it. If not, then we are invariably opening the doors to future threats of chaos, disorder and societal dislocation. 30. The final challenge of our generation is to show that we learnt the right lesson from that sad conflict of 50 years ago. We must bequeath our children with a nation that works for all and one that looks ahead. We want a Federal Republic of Nigeria which is collectively owned by all Nigerians as opposed to a Federal Republic that will be perceived as a the private property of one group or groups of ethnic groups depending on who is in office. The categorical destination is a Nigerian Nigeria under the collective hegemony of the people of Nigeria. In order to achieve this we must have a flexible federation; strong enough to guarantee our collective defence and protect individual rights, agile enough to react to emerging tensions and threats, yet expansive enough to allow each state room to develop at its own pace. We must create a national order whereby each state bears the primary responsibility for its development. 31. Today majority of Nigerians are yearning for a restructuring of the federation. The beneficiaries of our current system are resisting it. A famous British Prime Minister in the wake of nationalist struggles in colonial Africa said to the British ‘there is a wind of change blowing throughout Africa. Those who resist it do so at their own peril’. 32. Nigeria cannot prosper, as it should, unless we redress some aspects of our current condition. I believe we have enough men and women of vision and experience, in every part of the country, to help us plot a bright future. I commit Ohaneze Ndigbo to this path. It may be difficult but it is doable. 33. True leadership evolves in historical circumstances like this. Our country is at cross roads. You can feel the tension every day. It is palpable, it is potent, it is real. Let us wake up to the change imperative at this moment and claim a glorious judgment by History. 34. Thank You for your kind attention.